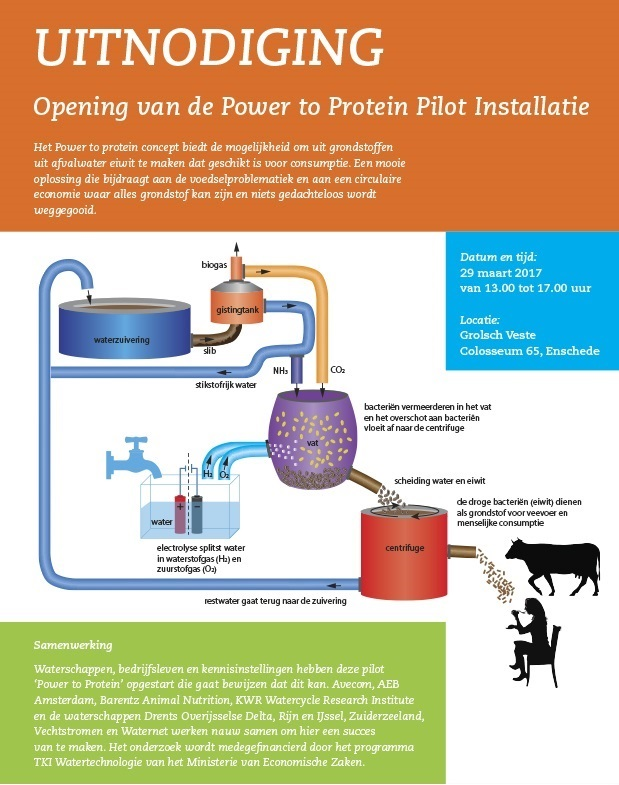 Invited guests from the waste water sector and food sector together with project partners and suppliers will join the official opening of the Power-to-Protein pilot at the SWTP in Enschede. Host is Mr. Jan van Hoek, member of the Executive Committee of Waterboard Vechtstromen and portfolio holder of Water Quality and Innovation. The quests will be informed about the technology and project approach at the Grolsch Veste and then have the opportunity to visit the pilot.